Since 2016, the Regional Network Development Plan (RNDP) has been steadily underway. Many improvements have already been observed across the network including: improved services to Bendigo and Ballarat; new VLine and VLocity trains rolled out across the state, and stations upgraded to include modern facilities such as bathrooms and added parking areas. Along with the rail and station upgrades, bus stops and surrounding areas have also received a funding injection to bring them up to standard. However, time and time again, the far North, and North-Eastern area of Victoria has been overlooked. Their trains were refurbished, not replaced, and only a few minimal extra services were added to and from Melbourne per week. 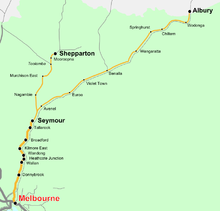 The North-East Line with Shepparton shown. Echuca is located further North-West of Shepparton on the NSW border. Along these lines are the popular tourist destination of Echuca, and much-maligned Shepparton, with both areas desperate for heavy improvement. Not only to improve traveller and commuter access to these areas, but also to encourage investment, and to give people and businesses a better chance of thriving in these non-metro areas. Seasonal variances affect these areas, with more people travelling during the warmer months. However, trains are more likely to break down and tracks expand during these months. These problems discourage travel and hurt local businesses. The selection process for upgrades was on population level, growth potential and general need, but the north-east has a very sluggish pace, not expecting to go above about 1% projected population growth on year until 2031, with some areas actually in decline. More people are choosing to live in fast-growing northern metropolitan areas such as South Morang and Mernda, rather than going further out into regional Victoria. This means that the North and North-East may continue to be overlooked until all other areas upgrades are completed. This is dangerous as it would widen the gap between the North and the rest of the state. 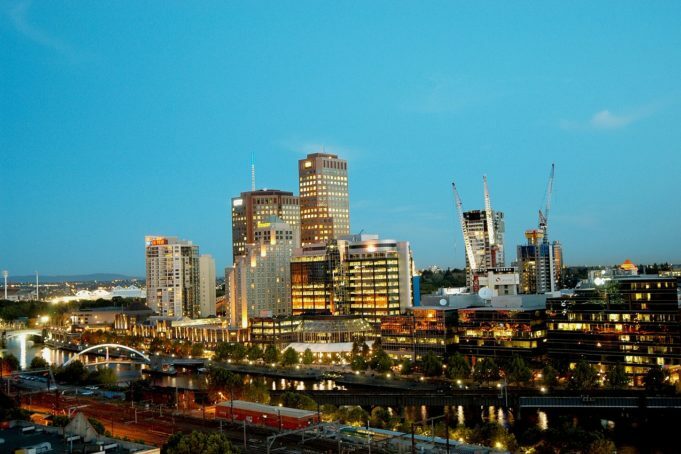 As other regional areas are upgraded, the North will fall further and further behind, and by the time improvements have been optioned, the cost may have substantially increased. However, the State Government has committed themselves to many projects in infrastructure. Not only focusing on Level Crossing removals across Melbourne’s city and suburbs, but also a complete overhaul of many metropolitan stations and areas, sometimes with huge backlash over the proposed design (eg: Frankston). Committing to these projects all at once ensures that when they are complete, they will effectively all link up to each other. Trying to keep up with areas like Bendigo and Ballarat without the proper funding is almost impossible for areas on the North and North-Eastern lines. Increased services, more reliable timetabling and newer trains is enticing people, local, interstate and international alike to visit and stay in areas across Victoria. Keeping up with Bendigo, Ballarat and other areas committed to upgrades is almost impossible without proper funding. The Northern lines needs increased services, more reliable timetabling and newer trains. This will entice locals, interstate and international people alike to visit and stay in diverse areas across Victoria.